Ellen has a reason to keep on dancing. The Ellen DeGeneres Show has been renewed by NBC owned stations through 2017. (March 11, 2013 – Burbank, CA) – Multiple Emmy Award-winning daytime talk show “The Ellen DeGeneres Show” has been renewed by the NBC Owned Television Stations as well as some 179 stations representing more than 96% of the country through the 2016-17 season, it was announced today by Ken Werner, President, Warner Bros. Domestic Television Distribution and Valari Staab, President, NBC Owned Television Stations. The series will continue to air on the 10 NBC-owned stations, including WNBC (New York), KNBC (Los Angeles), WMAQ (Chicago), WCAU (Philadelphia), KXAS (Dallas-Fort Worth), KNTV (San Francisco Bay Area), WRC (Washington, D.C.), WTVJ (Miami-Fort Lauderdale), KNSD (San Diego) and WVIT (Connecticut). In addition, the series has also been sold to stations including Hearst Television, Gannett, Belo, Sinclair Broadcast Group, LIN Television, Post-Newsweek Stations, CBS Television Stations, Raycom Media, Scripps Media, Allbrighton Communications, Cox Broadcasting, Communications Corp of America, Grey Television, Journal Broadcast Group, Local TV, Media General, Meredith, Nexstar Broadcasting, Max Media, Mission Broadcasting, as well as many other strong broadcasters. Nationally, “Ellen” is the number-one syndicated talk show (tied with “Dr. Phil”) for the 2012-13 season among Women 25-54. In a season when talk ratings have been challenged, “Ellen’s” ratings continue to grow, with a national rating increase of +13% year to year. It is only one of three returning talk shows growing Women 25-54 audience over the prior year. In addition, “Ellen” is delivering its biggest audience (Viewer 2+ 000s) ever and strongest Women and Adult 25-54 rating since 2005-06 season. “The Ellen DeGeneres Show” premiered on September 8, 2003 and was the highest-rated freshman syndicated show of the 2003-2004 season. Ellen serves as an Executive Producer of the series with Mary Connelly, Ed Glavin and Andy Lassner. 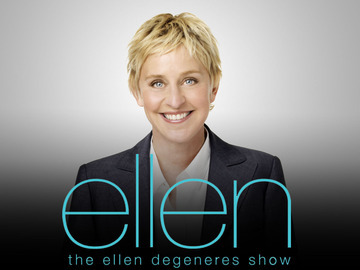 Originating from Warner Bros. Studios in Burbank, “The Ellen DeGeneres Show” is produced by A Very Good Production and WAD Productions, Inc. in association with Telepictures, an industry leading and Emmy® award-winning producer of innovative, multiplatform advertiser friendly television and digital content for the syndication, cable and digital marketplace, and is distributed by Warner Bros. Domestic Television Distribution. What do you think? Are you glad to hear that DeGeneres’ talk show will be around for years to come? More about: The Ellen DeGeneres Show, The Ellen DeGeneres Show: canceled or renewed? Who’s the Best TV Talk Show Host? Yes, yes and yes! Great news that Ellen is planning to continue for years to come!! When does her new show on NBC start. And what time. I look forward to watching her show, I really do not understand why there is a problem with her telling a little white lie. She is beautiful inside and out, she makes people feel good about themselves and I do not think I have ever seen one of her shows that I did not like. Go Ellen you rock !!!!!! !